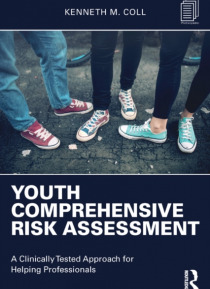 Youth Comprehensive Risk Assessment: A Clinically Tested Approach for Helping Professionals presents a complete youth risk assessment and treatment program based on Dr. Ken Coll's 20 plus years of research on assessing and treating at-risk youth. In this book, helping professionals will find not only a wide range of succinct and easy-to-use assessments, but also proven helpful, highly specific app… roaches and treatment strategies. Case studies and intervention techniques show professionals-from therapists and social workers to teachers and nurses-how they can help struggling youth find motivation to work on their concerns. This book also offers professionals a menu of assessment surveys and action strategies so that they can develop a plan that best fits the needs of particular youth and their families.